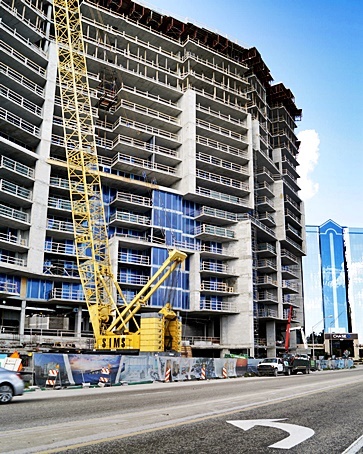 Will You Make Money Buying Pre-Construction Condos? Have you ever thought about buying a pre-construction condo for investment purposes? This is a game many people want to play and it is usually only played by the wealthy because of the high prices that new downtown Sarasota condos typically sell for. There can be a mad rush to buy when a new condo building is released. Early buyers will typically buy at lower price levels because the developer will eventually raise prices as more and more condos are sold. Do these investors make any money doing this? Below you will find a variety of condo buildings in downtown Sarasota. I pulled sales data from when the units were purchased and then sold. It typically takes 24 months to build a condo. The purchase date is when they closed on the property. In most cases the units were sold well before the closing date. For example, unit 1101 in the Ritz Carlton was closed in November 2001 for $1,260,000 but the price was established up to 2 years prior to that when they released the units (pre-construction). Gain and loss figures do not include Realtor fees as well as the ongoing carrying costs of a condo - association fees, contents insurance, maintenance and property taxes. The figures are purely just sales price. Looking for a great deal in downtown Sarasota? Imagine starting your day with a casual stroll to the local coffee shop to enjoy your morning beverage reading the newspaper. You might be fortunate enough to have a large terrace in your condo overlooking the majestic water views of the Sarasota bay where you can enjoy your morning coffee and breakfast. As a resident of downtown Sarasota your day might consist of strolling Main street, roaming the shops and then stopping for lunch with friends at your favorite cafe. If you need some entertainment check out downtown's First Fridays, monthly event when shops and galleries are open late with complimentary refreshments. If that doesn't work then go see an independent film at Birns Court Cimena, a play at the Florida Studio Theatre or a drama at the Sarasota Opera. Downtown Sarasota offers a variety of artistic and cultural events. 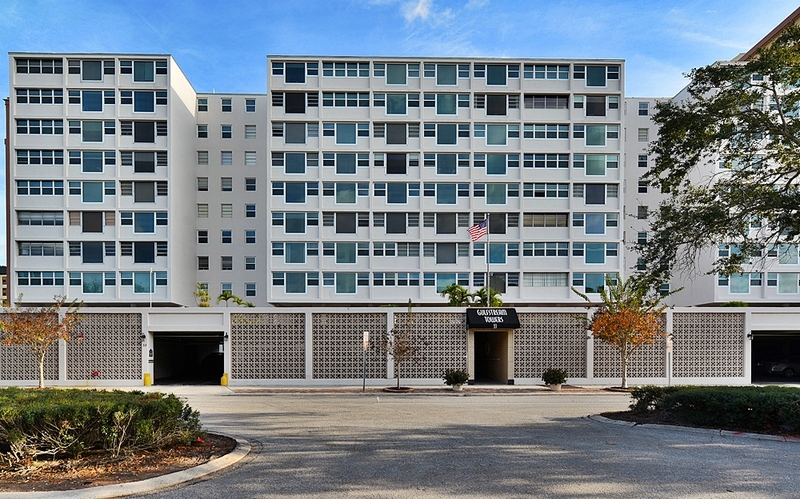 Gulfstream Towers were built in 1964 and is located within footsteps of the amenities of downtown Sarasota. The units on the higher floors clear the trees so that residents have a wonderful view of the Sarasota bay. Owners of Gulfstream Towers enjoy many amenities including pool, shuffleboard and under building parking.Gulfstream Towers has a no rent and no pets policy. Downtown Sarasota Luxury Condo Glut? There was an article in the Sarasota Herald Tribune recently (read it here) about a new 18 story luxury condo tower will be built next to the Ritz Carlton in downtown Sarasota. The new project will be called The Grande. For those Realtors selling in the mid 2000's, The Grande was a condo project planned to built where The Vue is now sitting. The project was scrapped when the Sarasota real estate market popped. The Kolter Group plans on building 86 residences that will offer services managed by the Ritz-Carlton. Prices for 3 and 4 bedroom units will run from $2,000,000 to $5,000,000. The new tower will be built east of the hotel over the support facilities. Is there a downtown Sarasota luxury condo glut on the way? 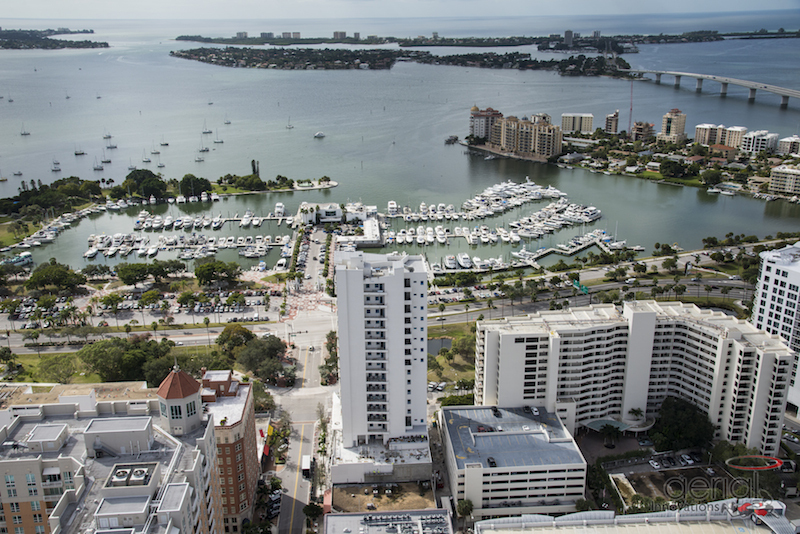 How Many $2,000,000+ Condos Have Sold in Downtown Sarasota? Are you considering a purchase or sale in Lakewood Ranch? The charts below may assist in your decision. If you remember back in economics class prices are primarily dictated by supply and demand. Obviously, with an increase in the number of homes for sale in Lakewood Ranch there will be downward pressure on price. That does not mean prices will decline. If demand stays strong prices could stay the same or continue to rise. 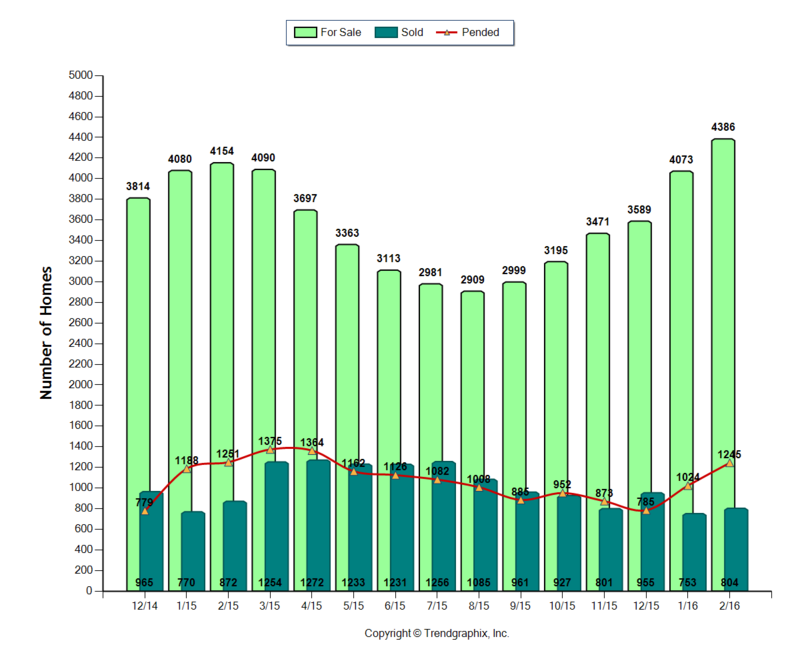 Below is a chart of sold, pended sales and active listings for the last 18 months in Lakewood Ranch. In the last three months Lakewood Ranch's months of inventory rose and is hovering between 6 and 8 months. Prior to January inventory was hovering around 4 months. That is a pretty substantial increase. This is something to definitely keep in mind if you are currently trying to sell your home. Sarasota County booms with arts and culture and is celebrated as Florida’s “Cultural Coast” and renders endless opportunity to amplify and support community development through the performing arts. No wonder that Sarasota is ranked No.3 as one of the 100 Best Art Towns in America. 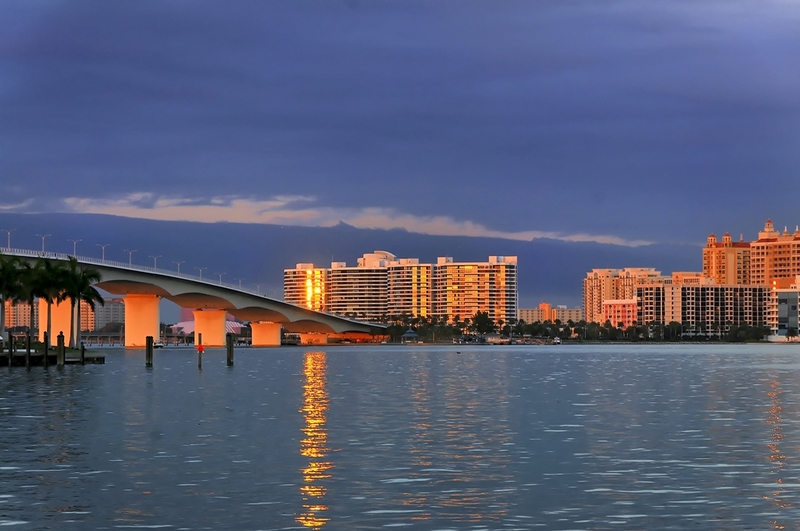 The dynamic cultural scene distinguishes Sarasota as a refined hub for business and tourism. It is undisputable that arts, culture and humanities can be inspiring in the development of any successful community. Below are some of the fun activities you can enjoy in Sarasota, Florida. The Circus Museum that was founded in 1948 commemorates the affluent history of the American family circus and its rapport with Sarasota. Visitors can experience a narrated circus and all its brilliance in sequined costumes, baggage wagons, colossal parades and side show banner lines. John Ringling as the Circus King is epitomized in relics and memorabilia in the museum that harks back to the greatest circus movie ever, The Greatest Show on Earth that was filmed in Sarasota. The private rail car of Mable and John Ringling, The Wisconsin that was built in 1905 during the golden age of the rail is on display in the museum. The Wisconsin gives visitors a matchless insight into the journeys of John and Mable around the country on business and with the circus. 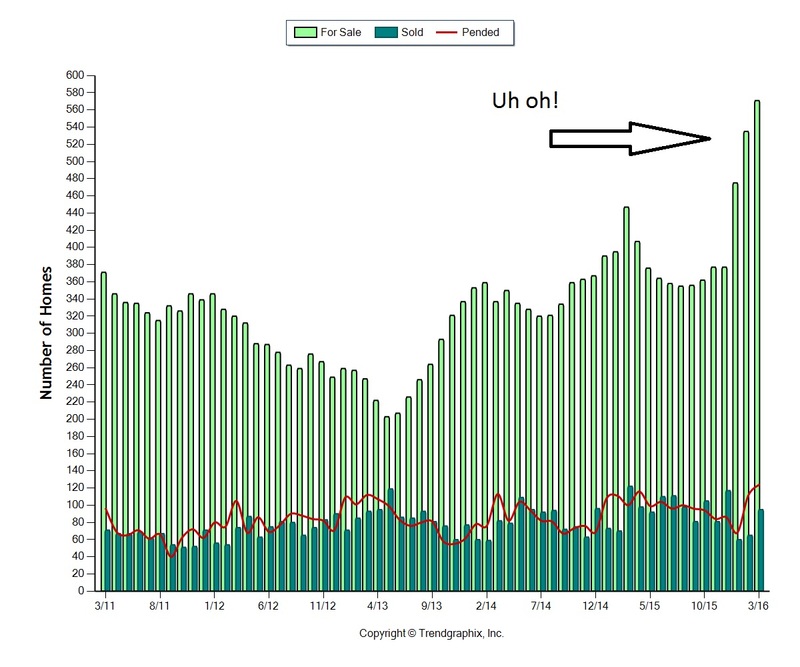 Is this the end of a boom cycle in the real estate market? It is too early to tell but some believe so. 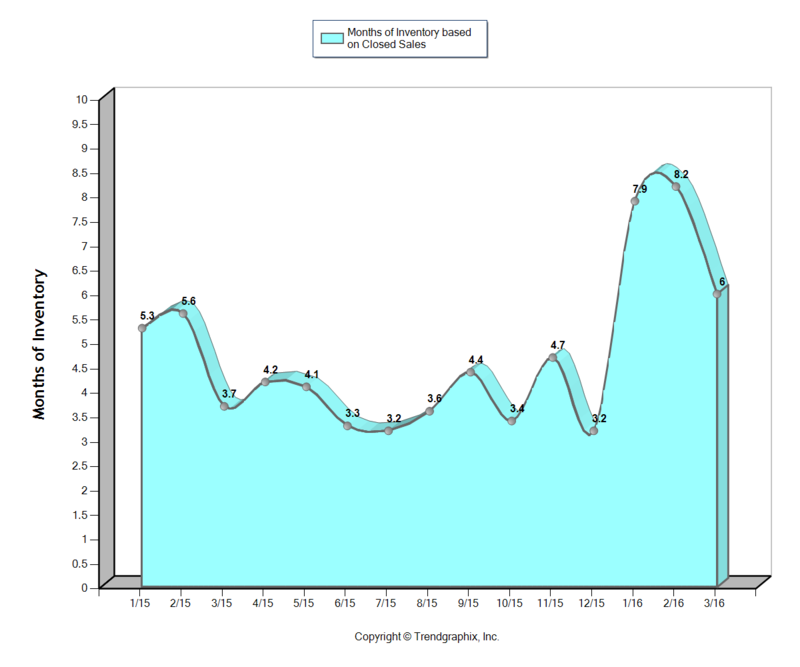 Below I provided graphs of inventories levels in Sarasota, Manatee, Longboat Key, Siesta Key, Lakewood Ranch and the downtown area. The above graph shows January 2004 to January 2006 inventories. They went from a low of 5,002 in September 2004 to 17,457 in January 2006. That is a 349% increase in inventories which ultimately caused the real estate bubble to burst. Personally, I don't see this happening. There are several differences between these two markets. Many of the buyers today paid cash which creates a stronger market. Lending guidelines did tighten so most people who bought had to prove income and the ability to repay their loan. Prices escalated but not as quickly as they did from 2003 to 2005. We will keep watching and reporting what we see. Stay tuned. The post below is from our other blog at DwellingWell.com. You can read it here - Season Update - How is the Sarasota Market? Last month we were one of the first brokerages to start talking about the slow down in the Sarasota real estate market. After I wrote the blog post I received phone calls from many area Realtors confirming the slow down. Some real estate professionals will only talk about a slow down behind closed doors but are afraid to discuss it publicly. The Sarasota Herald Tribune decided to write about it as well - Read here. 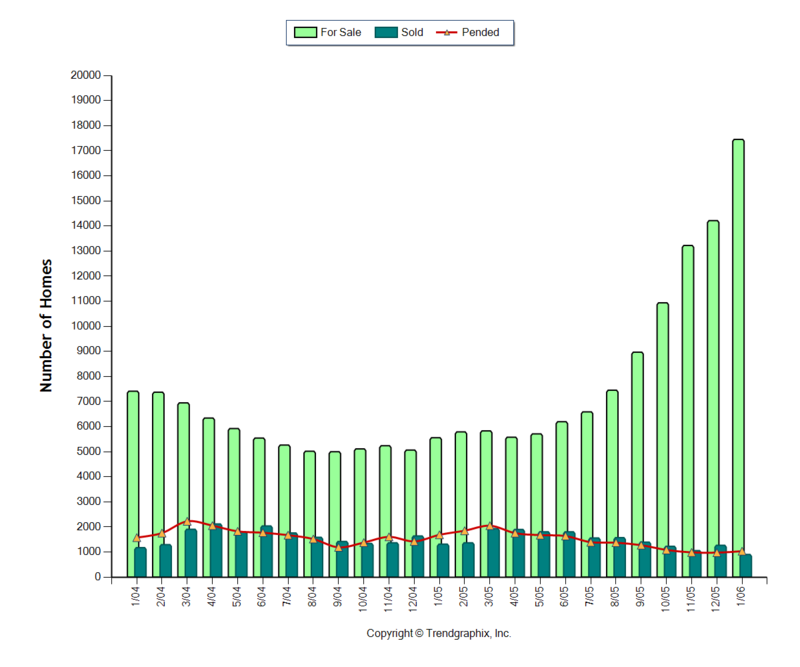 Here is my original post talking about how January 2016 had fewer home sales than January 2015 - January 2015 vs January 2016. Below you will find data showing sales stats comparing February 2015 to February 2016 as well as comparisons over a longer time period of both January + February of each year. If you want to skip all of the gritty details and just see the conclusions click here. 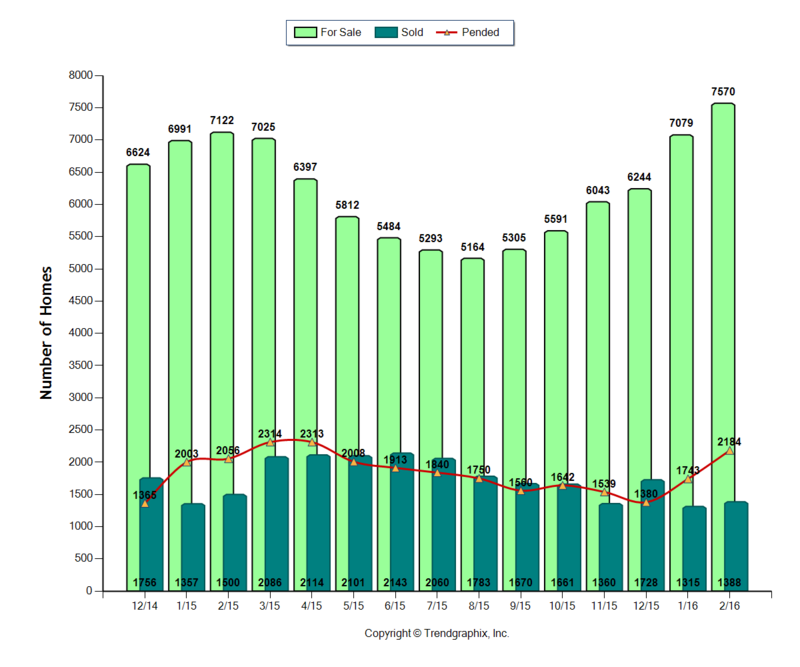 Below is a chart showing sold, pended and properties for sale in Sarasota county. Compared to February 2015, Sarasota county has 5.6% more homes and condos for sale, 7.8% fewer sales and roughly the same number of properties pended this year. I was poking through MLS and found this really great looking home for sale west of the trail in the Museum area of Sarasota. I thought you might enjoy the photos below. Give us a call at 941.822.0708 if you are looking to purchase a home and would like to see this. #1 - Walk, Bike or Run the Ringling Bridge - Take a voyage over to the highest point in Sarasota, Florida - The John Ringling Causeway. 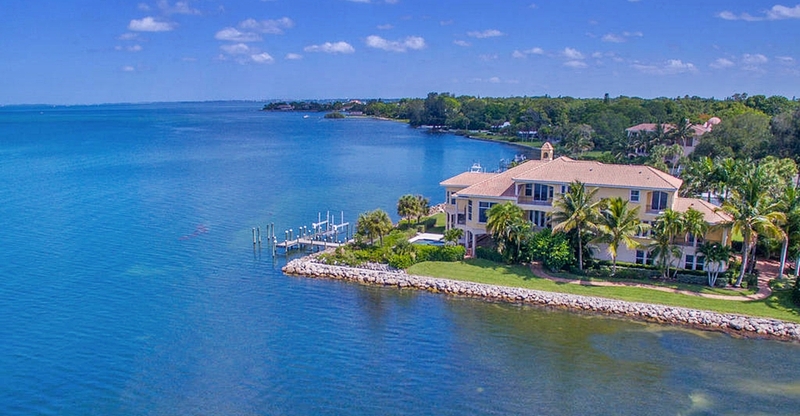 Capture spectacular views of the Sarasota bay, downtown skyline, Longboat Key, Siesta Key, Lido Key and Bird Key. What a great way to get some exercise. #3 - Tour Ca d'Zan - Go see the winter residence of one of Sarasota's most influential residents - John and Mable Ringling. A self-guided tour of the first floor of this Venetian Gothic waterfront palace is included with a general admission ticket to the John and Ringling Museum of Art. #4 - Shop in a Circle - No trip to Sarasota would be complete without a shopping trip to the world-renown St. Armands Circle. The area was dedicated to John Ringling and is stocked full of sophisticated restaurants, shops and nightclubs. Numerous exclusive boutiques are also in the area. #5 - Go Back in Time - Take a spin down main street in downtown Sarasota and catch a glimpse of buildings from the 1920's and 30's like the Sarasota Opera House, Frances Carlton Apartments, Sarasota Times Building, Mira Mar building and Orange Blossom Condos. If you’re looking for luxury with a rich history, established neighborhoods, and an elegant mix of old-world glamour and modern sophistication, living West of the Trail in Sarasota is the perfect option for you. Retirees, young professionals, families, and those who wish to live somewhere the weather is warm all year and an upscale lifestyle is prominent fall in love with the idea of a home West of the Trail. The neighborhoods located here are upscale, elegant, and sophisticated. They are the epitome of high-end living with the casual feel of waterfront living. The homes West of the Trail are the homes dreams are made of. 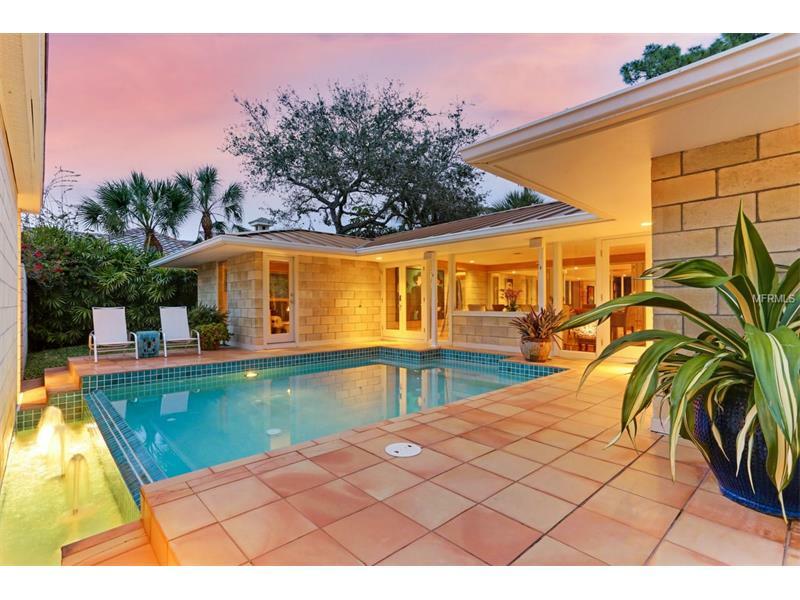 Many of the neighborhoods in this area of Sarasota are decades old, but that doesn’t detract from the contemporary elegance each one portrays. Older, elegant homes with a Spanish flair have been completely remodeled to bring buyers all of the modern upgrades needed to live the most luxurious lifestyle available. New homes feature spacious terraces and wraparound porches with outdoor kitchens and uninterrupted views of the oceans. Each neighborhood is designed to perfection, with homes large enough to accommodate big families and cozier homes perfect for a retired couple. You have to check out this fabulous mid-century modern home for sale in Oyster Bay Estates. I was poking around the MLS this morning and noticed it. This lovely home at 1833 N Lakeshore Drive just came on the market 2 days ago. 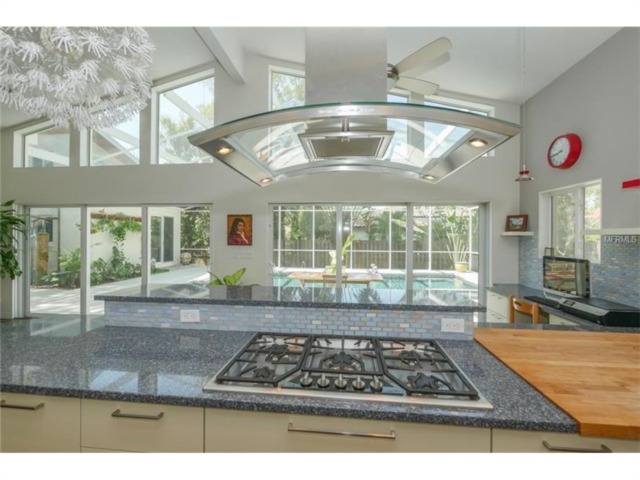 It is located in the highly sought after West of Trail community in Sarasota. Take a look at the photos below. Call us at 941.822.0702 if you would like to see it. Casey Key, Florida - Seeking Waves, Water and Sand? Hidden away, south of Sarasota, is Casey Key delights the eye with every view. 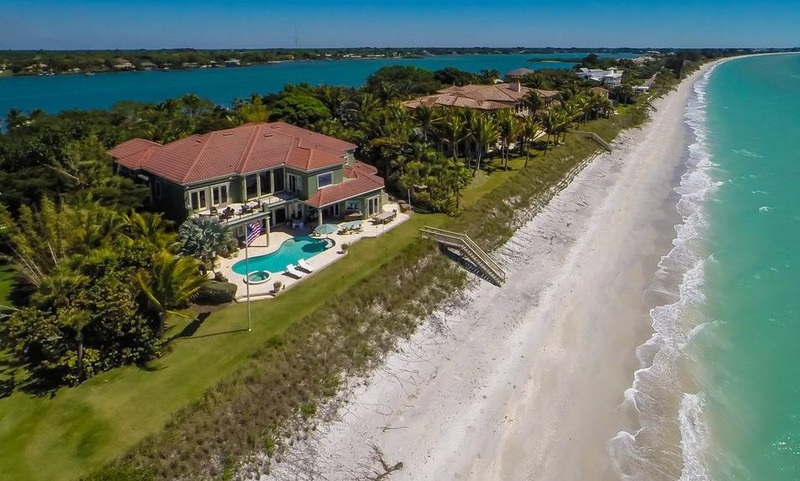 An eight mile long barrier island, gorgeous views of the Gulf of Mexico can be had from the exclusive homes that line Casey Key Road. Old growth landscaping comprised of palms, oaks and pine gently shade the older beach homes and estates. Privacy and the beach at the door are features included with this island lifestyle. Your neighbor might be a very famous writer or celebrity who has chose this idyllic gem. Waterfront living is at its pinnacle in Casey Key, with only 400 residents amidst this quiet and serene beauty. Whether its walking on the beach hand-in-hand or dining superbly al-fresco on your deck overlooking the Gulf or Bay, Casey Key will enchant. The history of Casey Key is an interesting one; assigned with the task of removing the Seminole Indians from the area in the middle 1800s, Army Captain John Charles Casey surveyed the area. Originally called Chaise's Key, it was published as Casey Key by mistake in 1856, when Casey produced a map. Building trust with the Seminoles, he forged a peace with Billy Bowlegs, the Seminole Chief. That peace lasted until the Seminole Wars, when the Chief was exiled out to the Western United States. Casey Key began to see its first settlers after the Civil War, and in 1923 the northern end gained a bridge, the Treasure Island Bridge.